It's Wednesday AGAIN!! 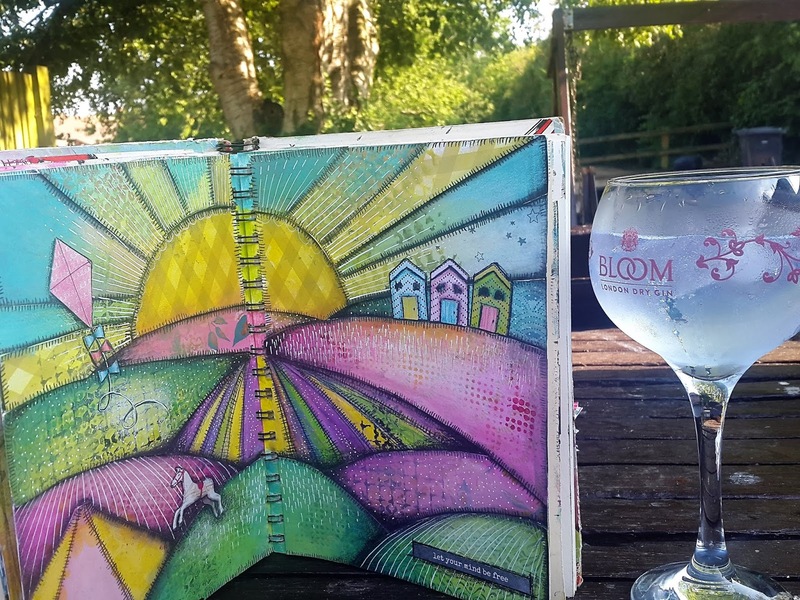 So it's time to pop over to Julia's Stamping Ground and link up with other Deskers all over the crafty world for What's On Your Workdesk Wednesday. Thanks for visiting me today, I'll pop over to Julia's when I get in from work and find out what everyone else is up to this week over the next few days. Love that double-spread - just gorgeous! A very happy WOYWW to you! Love your journal page, reminds me of Clarice Cliffe, of a stained glass window and Japanese Washi Paper. Gorgeous colouring technique. Of course the glass is nice to see too - such a blissful picture reminding me of sunny days. 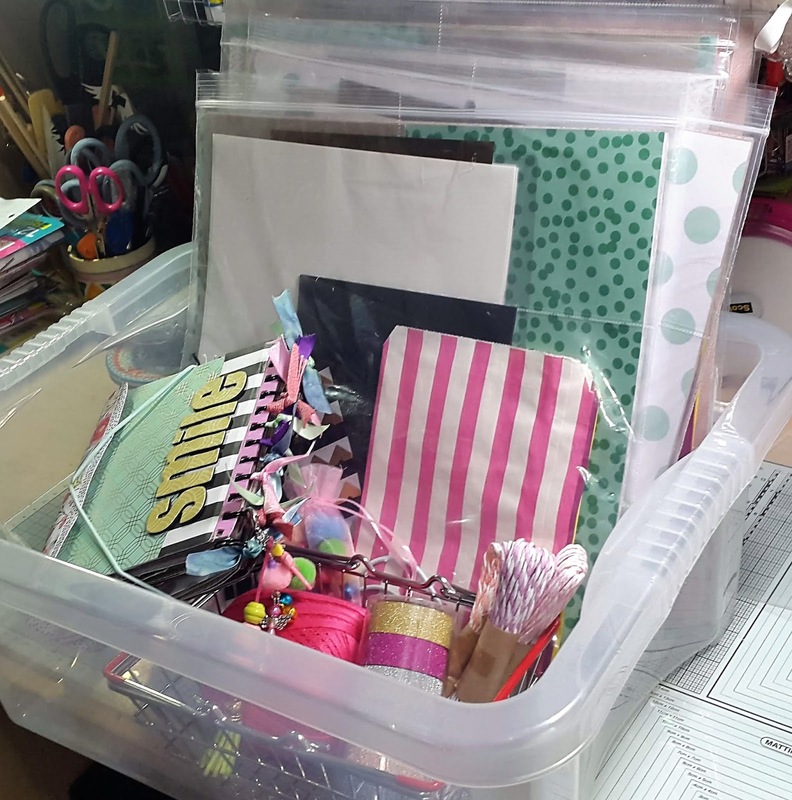 Good luck with the Breastathon - seems these are going on all over the place, wish I could organise a craft morning but there are no crafters around me. It does indeed look blissful and your journal pages are magnificent. Wishing you all the best with the craftathon which I will be sending good wishes right up till September and beyond. Fabulous work Annie. Good luck with the craftathon - it couldn't be a better cause really, I hope it goes brilliantly. 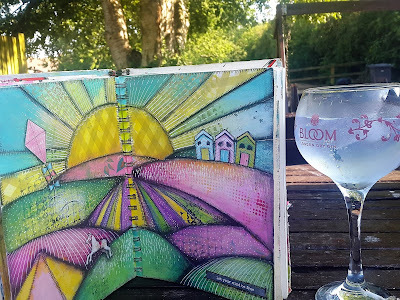 I love the journal pages too, such lovely colours and the glass is quite magnificent, I do hope there was gin in there! Your journal page really captures the summer we've been having. I hope your craftathon goes well - sounds so much fun.